In many the vast steppes of Mongolia, some things have remained unchanged for centuries. But some things have changed, and big time: according to a new report, almost 3 out of 4 Mongolian nomads are now using solar power. Even if your lifestyle is pretty much Medieval, you can still benefit from advanced technology – that’s the reasoning behind a new government initiative that encourages nomads to use solar power. Mongolia is a geographically large but sparsely populated country. Covering over 600,000 square miles, it only has a population of 3 million people. About 1.2 million of Mongolia’s citizens live in the urban capital of Ulaanbaatar, while the remaining population is widely dispersed throughout the country with a large number residing in rural areas. 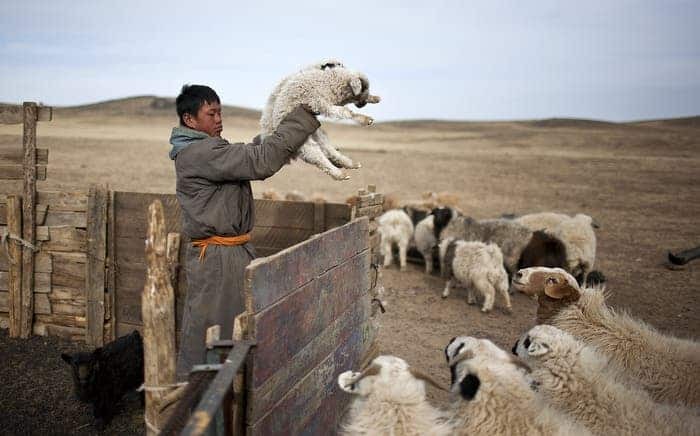 In total, about a quarter of the population consists of nomadic herders. The per capita income in Mongolia at the start of the millennium was about US$470 per year, with income amongst herders even lower. Sure, it has somewhat grown by now, but it is still extremely low, so the government was faced with a challenging situation: how do you provide access to electricity in to low-income herders that move from one place to the other? This nomadic lifestyle is a legacy of thousands of years of culture, and won’t change in the near future. The Renewable Energy and Rural Electricity Access Project (REAP) helped the Government of Mongolia (GoM) successfully complete its ambitious program. In 2000, the Government of Mongolia (GOM) began the National 100,000 Solar Ger Electrification Program, an ambitious initiative to improve the lives of about half a million herders by providing modern electricity services. The program provided photovoltaic solar home systems (SHS) that were portable in design making the systems adaptable to the nomadic lifestyle of herders and complementing their traditional way of life. I have to say, if you would have asked me a few years ago, I wouldn’t have believed in this project, but it worked, and it worked big time. Portable (also eco-friendly) energy is a game changer for these community, for 3 reasons: refrigeration, mobile phones and radio/TV. Communication is extremely difficult when you are trying to talk to someone two valleys across, and that’s where mobile phones come in. Also, children are often sent to a far away or boarding school, and this allows parents to keep in touch. Refrigeration is useful for obvious reasons, and radio or TV is especially useful for short term weather prediction, and also provides a way for people to entertain themselves.